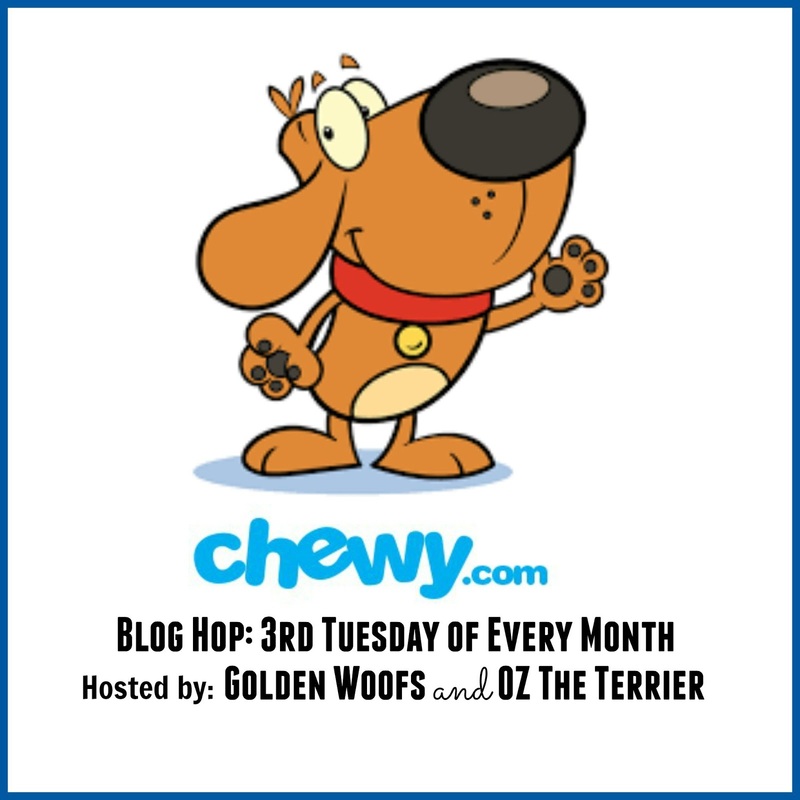 February is Pet Dental Health Month & to celebrate (albeit late, due to a illness filling our household for the past month) I'm sharing reviews for two different treats for dogs that will help you take care of your fur babies teeth all year long! 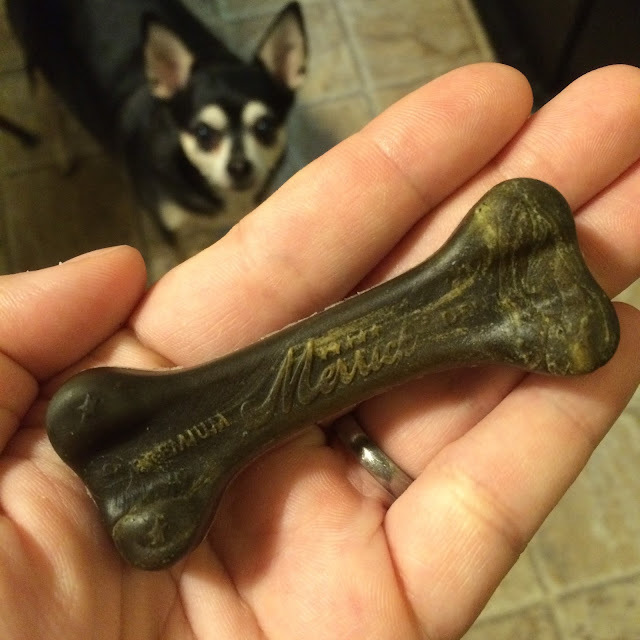 Today I'm sharing my second review, Brush Bones from Merrick. 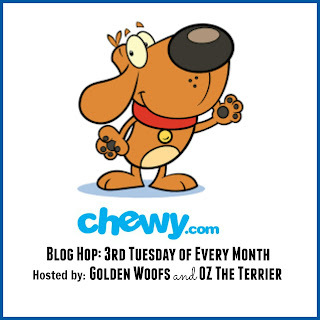 This was sent to us, to try and share our experience with you, from Chewy. 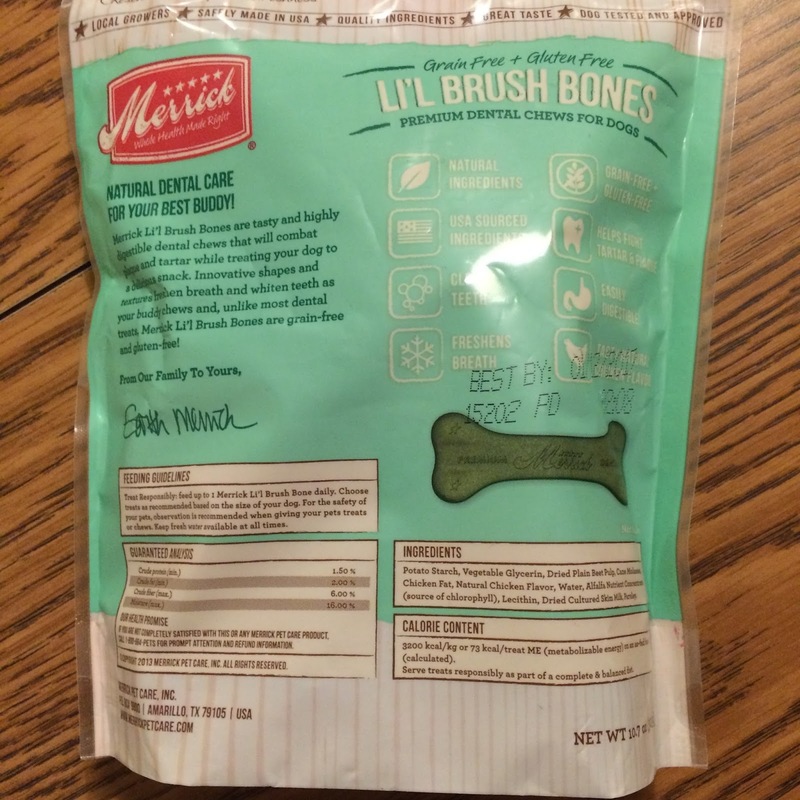 Merrick Lil' Brush Bones come in three different sizes; Mini, Lil', and Big - to fit the needs of most sizes of dogs. Venus received the size Lil' for dogs 15-25 pounds. 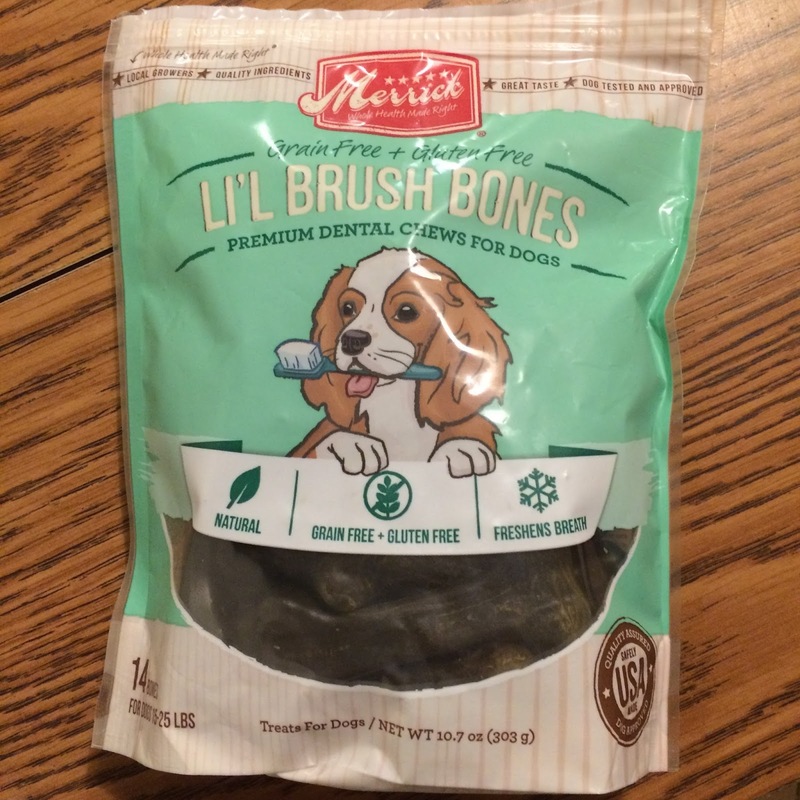 Lil' Brush Bones are grain free and gluten free - which is great because I know they won't aggravate Venus' allergies. They contain alfalfa and parsley to help freshen breath, and their texture cleans teeth and gums. These bones are also Made in the USA! 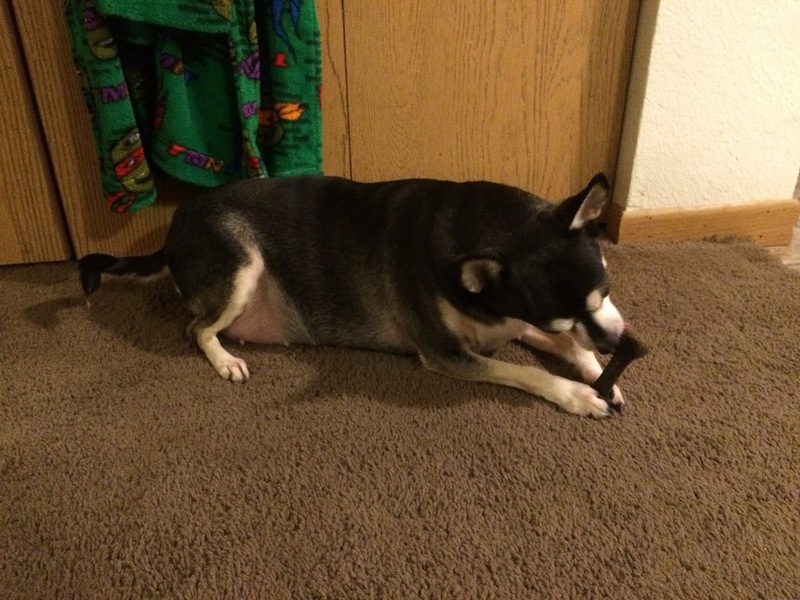 Venus loves these all natural chews, making it easy to keep her teeth clean between brushing all year round. Disclaimer: No monetary compensation was received for this post. Baby and the Chi's blog will always provide honest opinions, beliefs or experiences on products reviewed. If you have any questions, please contact me at babyandthechis at gmail dot com. This blog contains affiliate links and I may receive a small commission if you make a purchase using one of those links. The disclosure is done in accordance with the Federal Trade Commission 10 CFR, Part 255 Guides Concerning the use of Endorsements and Testimonials in Advertising.